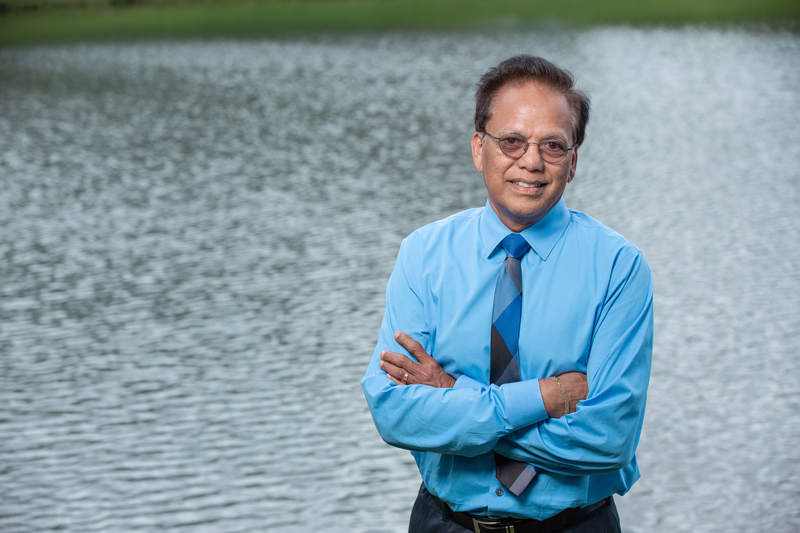 Jayantha Obeysekera has been named director of the FIU Sea Level Solutions Center. He will lead the research, education and outreach hub designed to develop and implement solutions for the impacts caused by one of the greatest threats facing Florida today — rising seas. Founding Director Tiffany Troxler has been named director of science. As director, Obeysekera will focus on developing national and international collaborations, expanding research initiatives and assisting local and regional governments with adaptation and resilience. The center is a key program in FIU’s Institute of Water and Environment. Obeysekera previously served as chief modeler at the South Florida Water Management District, where he had a leading role in modeling of the Everglades and Kissimmee River restoration projects. He was co-author of the sea level rise projections report published by NOAA for the National Climate Assessment and a lead author for the Southeast Chapter of the National Climate Assessment. He served on the federal advisory committee which directed the development of the National Climate Assessment in 2014. Obeysekera was a member of multiple National Research Council panels dealing with water resources issues, focusing on the Edwards Aquifer system in Texas, Klamath River in California and Oregon, and the California Bay Delta. He also served on the Coastal Assessment Regional Scenario Working Group associated with the Department of Defense and co-authored a report on regional sea level projections for Department of Defense facilities across the globe. “We are delighted to bring Dr. Obeyeskera. He brings additional expertise to already strong group of hydrologists and also brings an engineering perspective to our coastal systems,” said Todd Crowl, director of the Institute of Water and Environment. Obeysekera earned a Ph.D. in civil engineering from Colorado State University, a master’s degree in engineering from the University of Roorkee in India and a bachelor’s degree in civil engineering from the University of Sri Lanka. He previously worked as an assistant professor in the Department of Civil Engineering at Colorado State University and a research affiliate professor at Florida Atlantic University. He also has taught courses in the water resources area at George Washington University in Washington, D.C. Obeysekera is the 2015 recipient of the Norman Medal of the American Society of Civil Engineers. Congratulations to Dr. Jayantha Obeyesekera! Dear Jayantha, Congratulations on your appointment. As a fellow countryman, I too feel honoured. The news about your appointment seem to be timely as the south of Sri Lanka is trying to raise it’s head from another terrible flooding. My desire is to bring together the Top Brains like you from across the devide and find a solution for this annual occurrence. See, when the South is flooding, there is a drought in the North. I feel we could find a co-relation and try to bring about some form of a solution. will be glad to hear from you.